At the absolute peak of Nike LeBron madness was the Givenchy-esque design draped onto the Nike LeBron 9. This black and gold iteration was indeed sparked by Kanye West and Jay-Z’s unforgettable “Watch The Throne” tour of 2011/2012, with the luxurious patterns, golden ornament lacelocks, and icy soles raising up some immense hype around the model. That unreleased PE has gone on to be one of the most sought after LeBrons in history, but according to Basketb4Ballers, Nike is possibly revisiting that alchemic theme on the LeBron 16 signature shoe. 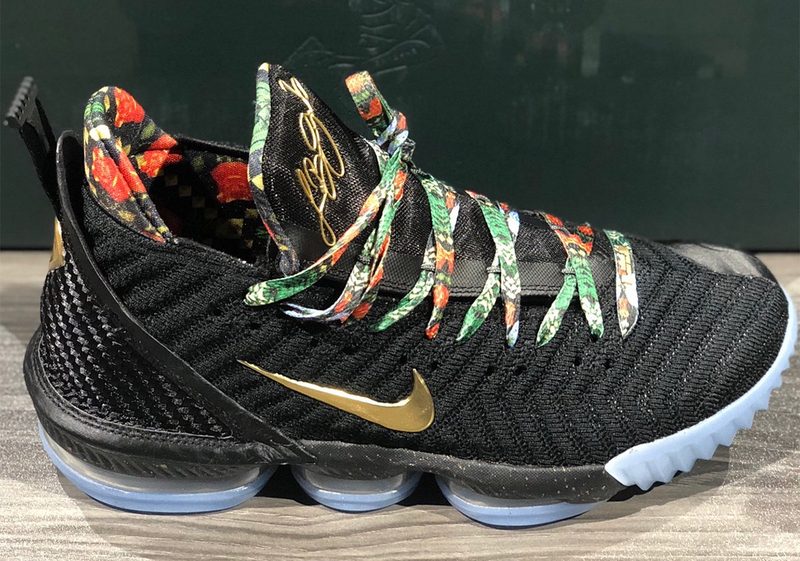 A release date is set for Sunday, February 17th during the All-Star festivities, while Foot Locker reports a limited release at select stores on February 18th. 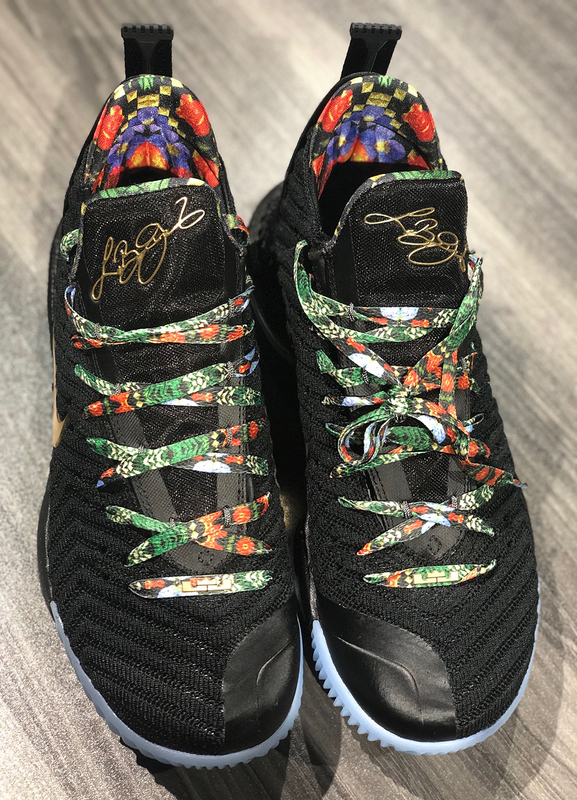 Updated February 7th, 2019: Photos of the shoes have been revealed.